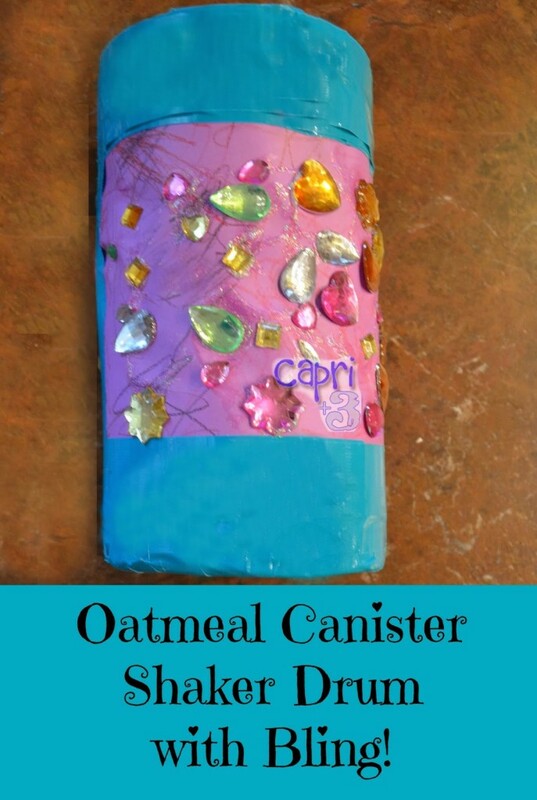 I was inspired by Vivian Kirkfield’s book, Show Me How, to have the Sugar Snaps create an oatmeal canister drum. I took her instructions and then added my own spin on it which is something she encourages parents to do. It is fun to gain inspiration and then take off from there using craft materials I have at home. I am sharing her original instructions (with her permission) below as well as the instructions for our version of the drum. 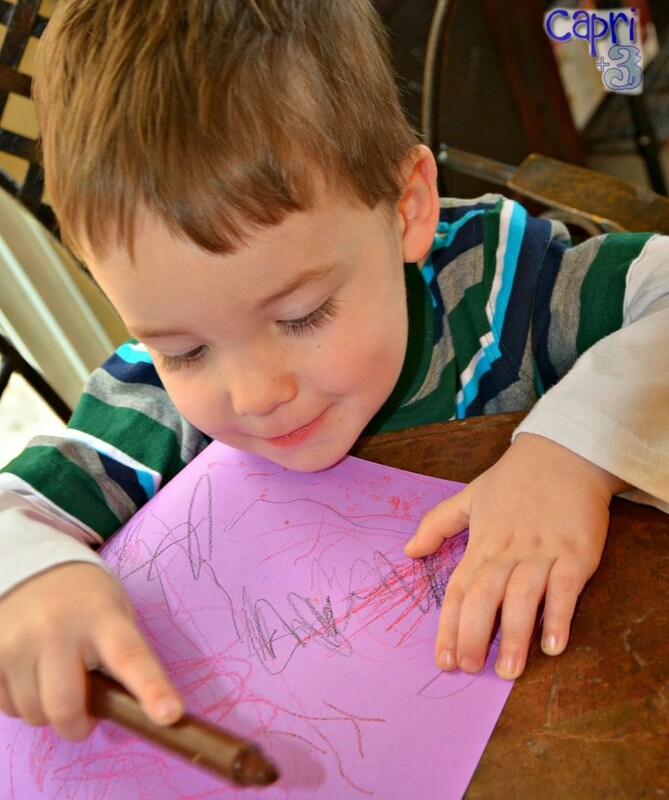 Vivian Kirkfield suggests having your child color the construction paper. Then, glue the pictures around the canister. Have your child drum to the beat of music with the spoon. I added some optional elements to our drum, making it a shaker and a drum combined (instructions below). Have your children color enough construction paper to cover the canister. Find rocks in nature, or your backyard and wash them. 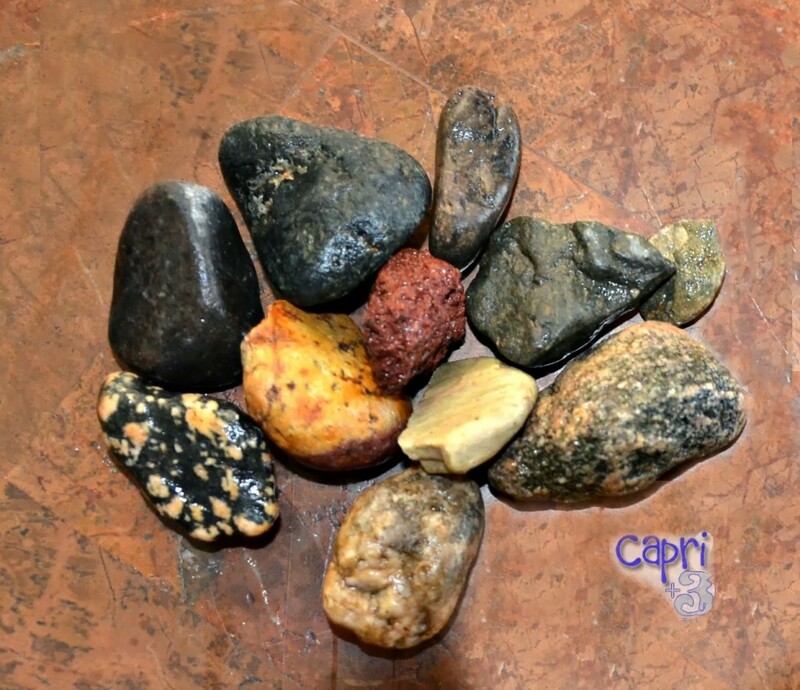 Have your child put the rocks inside the canister and replace the lid. Then use the duct tape generously on both the top and bottom of the canister to ensure that the rocks cannot fly out. 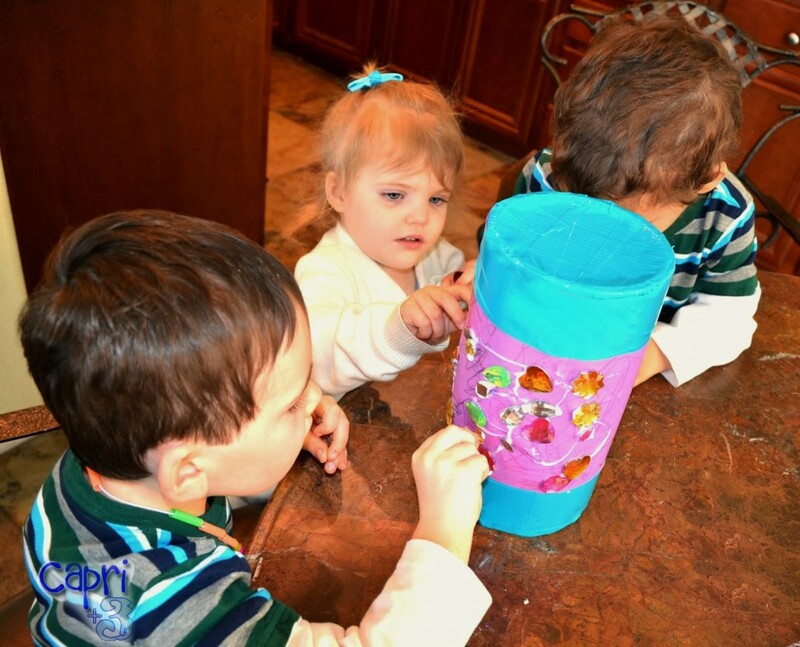 Use the duct tape to secure their pictures onto the canister on the top, bottom and sides. Alternatively, you could use glue for this step. 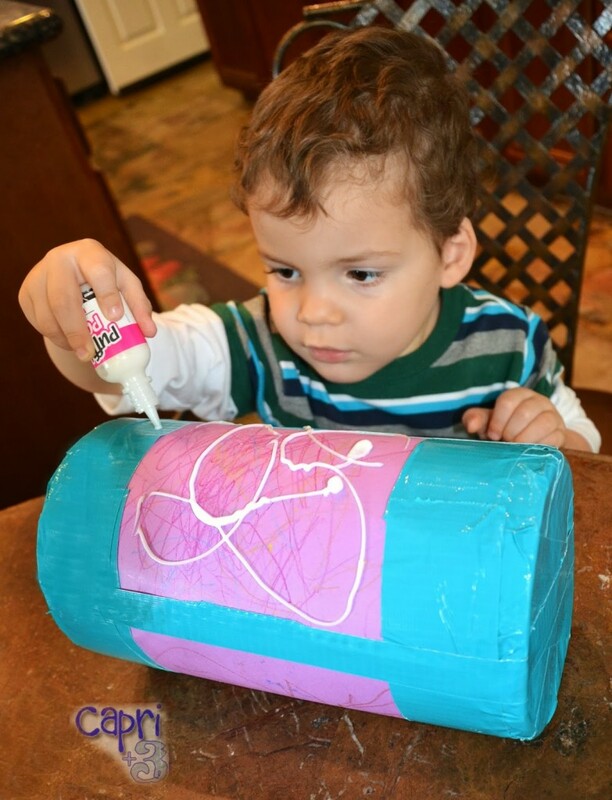 Have your child squeeze the puff paint onto their construction paper drawing. We used one that shows as white but dries as clear iridescent with sparkles. Have your children place gems on top of the puff paint. The nice thing about the puff paint is that it is designed to hold on fabric through washings so it keeps the gems secure. It also looks nice between the gems. 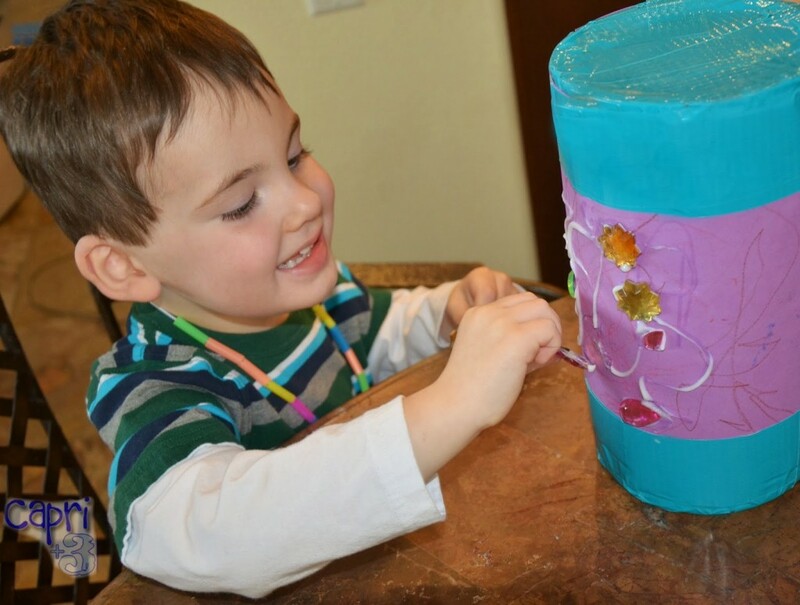 If you don’t have puff paint, you can use glue and dot it on where your child would like the gems placed. 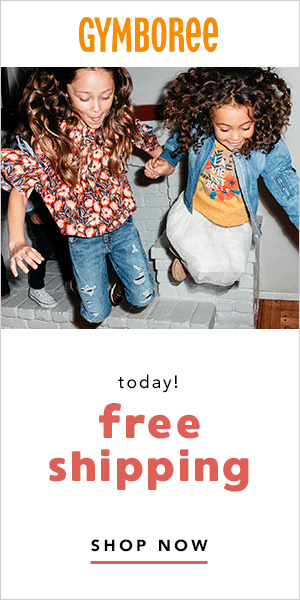 If you used puff paint, I would suggest waiting at least 24 hours before allowing your children to play with the drum so that the puff paint is completely dry. As Vivian Kirkfield suggests, it would be fun to have your children drum with a spoon or shake the shaker to their favorite music. Stay tuned as Vivian Kirkfield has generously offered to give away one copy of her wonderful book, Show Me How, to a lucky Capri + 3 reader. She has also offered a spectacular price for the book exclusive to Capri + 3 readers. Have you made instruments with your children? Feel free to leave links to your instrument posts in the comments. How lovely! There's nothing kids like more than making something they can then play with and even better, make lots of noise with afterwards! I agree that it's all about the bling! If they hade a major jam session, I might need earplugs… ; 0 ) (or to stand at a bit of a distance). Yes, it adds to the experience to be able to play and make noice after doing art together.